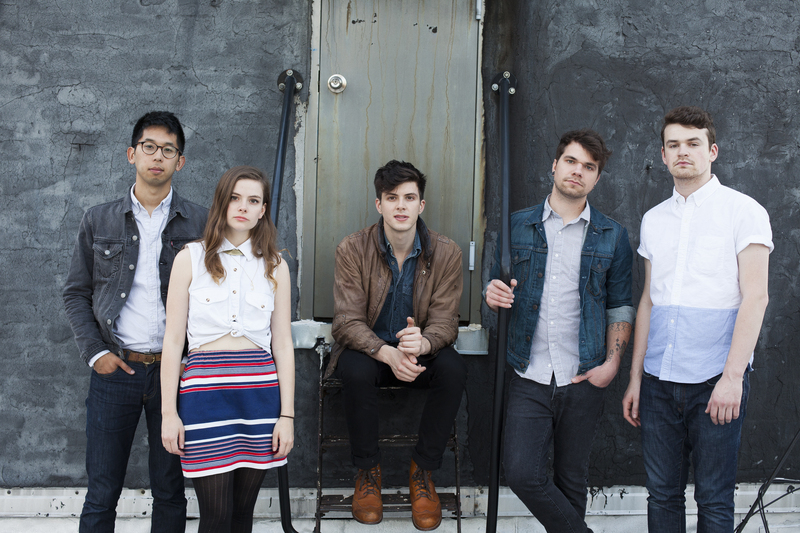 Interview: Alex Caplow of Magic Man! 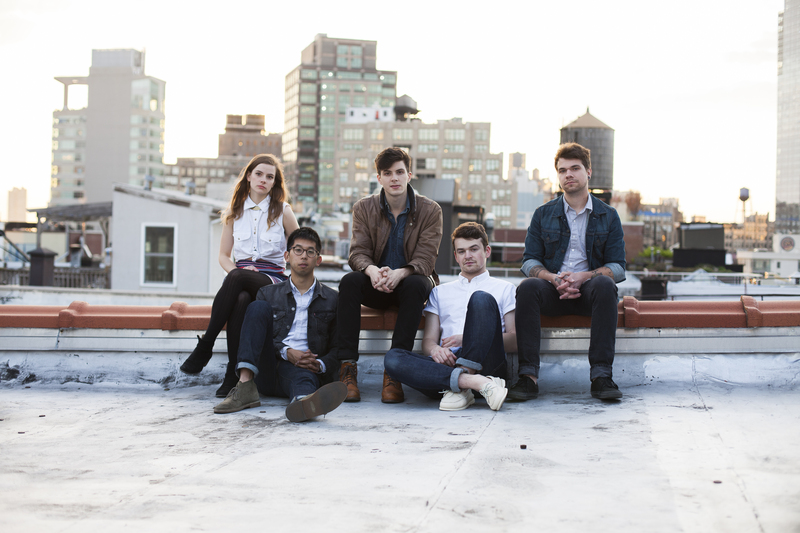 Underneath This was pleased to interview Alex Caplow, lead singer of the talented and innovative band Magic Man, which is also comprised of Sam Lee (guitar), Justine Bowe (keyboard), Gabe Goodman (bass) and Joey Sulkowski (drums). 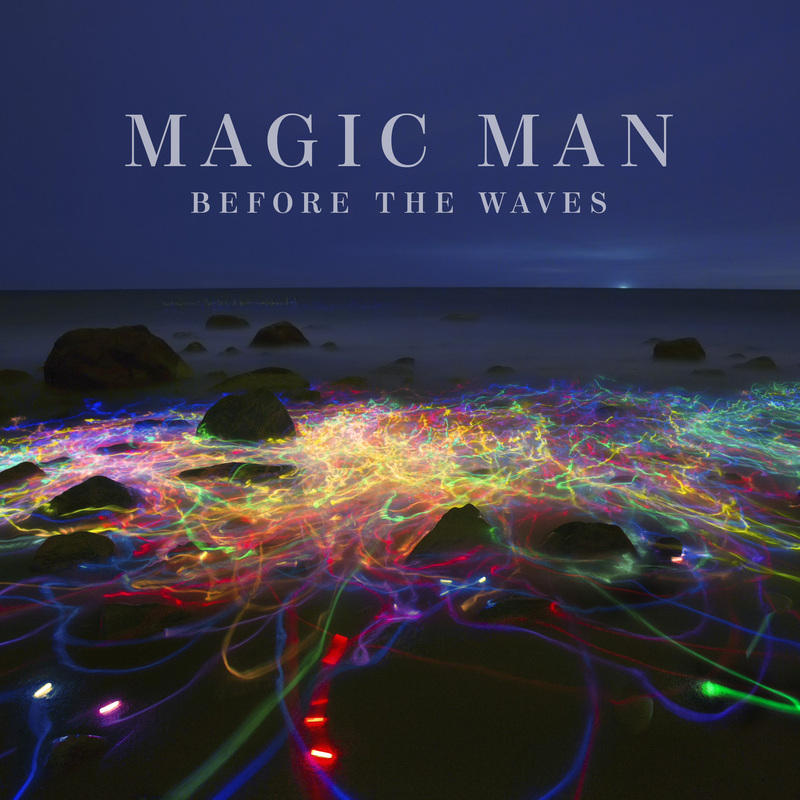 Please read more about Magic Man in a bio penned by Jia Tolentino and Derek Davies. How did Magic Man form? Sam and I wrote the first Magic Man songs after or freshman year of college while traveling through the south of France, working on organic farms. Inspired by the interesting characters around us, the beautiful countryside, and the generally surreal experience of traveling alone in a foreign country for the first time (way out of our comfort zone), we began writing music in our downtime using only a laptop with Garageband and the built-in microphone. Before we knew it, we had 10 songs and decided to release them as a free album on Bandcamp. Blogs began picking up on it and giving us some great exposure. As we started playing live (mostly sweaty house shows) we decided to expand the band from a duo with a laptop to a 5-piece rock band, which had a big influence on evolving our sound. Which bands were influential to you as you began your music career and currently? Do you have any female musician influences? We’ve always listened to as many different kinds of music as possible, and we’re influenced by it all, from more experimental ambient projects to Top-40 pop acts. Some of my biggest female influences are Metric, Feist, Kate Bush, Florence and the Machine, and more recently Chvrches and Haim. Three of the songs on your EP, You Are Here, reference places you have traveled. How does geography and place affect your creative process? Since Magic Man began while traveling, the beauty, energy, and personal meaning of places we’ve been (or just like dreaming about), have been great sources of inspiration for us. We like to try to transport our listeners with our music, and setting the tone of a song with the name of a place is a good place to start. How has living in New England influenced you creatively? We love New England—the ups and downs, cities and quaint towns, hot summers and cold winters, rain and shine, forests and coast. As kids we looked forward to snowball fights and snow days almost as much as summer vacation. We were lucky enough to grow up in a safe, progressive suburban environment where parents and schools encouraged the arts, and the music scene was always thriving. Kids were hungry to create, express themselves, record albums, and organize shows. It was an environment of accelerated creative learning—a sandbox with all the tools needed to build, experiment, and just play. We really enjoyed your performance at the Boston Calling music festival. What was that experience like for you? It was by far one of the most incredible and surreal moments of our career and probably lives. Not only were we playing for the largest crowd we’d ever played for, but it was also our hometown, and we were representing it. Our friends and families were able to experience the milestone with us, and even strangers told us we made Boston proud. I’ll never forget it. You worked with director Mimi Cave to create a unique and surreal music video for the song “Paris.” How did you come up with the concept for the video? We were looking for a unique way to represent the song, and the concept of losing yourself in a city (and relationship), the push and pull of past and future, the impossible decisions of choosing between different life paths, different people. We were already big fans of Mimi’s precious work, and when she pitched us the concept, we were immediately drawn to it—the incorporation of modern dance, natural scenery, and surreal special effects—it fit our aesthetic and vision perfectly. We now perform a cover of Bruce Springsteen’s Dancing in the Dark, a timeless song full of heart, energy, catchy melodies, and danceable rhythms, things we try to incorporate in our own music. He is a big inspiration, both for us directly, as well as indirectly (The Killers, and countless other rock bands who followed in his footsteps). Film, photography, fashion, dance, graphic design, comedy, food, sleep. How did the recording process of Before the Waves differ from that of Real Life Color? Real Life Color was more of an experiment without direction or intention, a collection of songs written in the span of a month with limited resources and little experience. Before the Waves (BTW) was written over a much longer period of time, with greater ambitions and a clearer direction. Both albums were for the most part recorded ourselves, but with BTW we got help with additional production and mixing from Alex Aldi. Listen to a lot of music. Write a lot of music. Collaborate. Find people you work well with. Try new things. Try more new things. Consider every decision and make every element the most effective it can be. Play all the shows you can. Be patient. Practice. Practice. Pick and choose your best work. Don’t get too attached. Share your music for free, use all the resources available to do so (Bandcamp, Soundcloud, social media). Learn music software (GarageBand is easy!) so you can compose with more instruments than you can actually play. Don’t give up! ← Interview: Jessy Spino of Girl Fry! So beyond excited to catch these guy at the Fonda in LA on 11/19! !